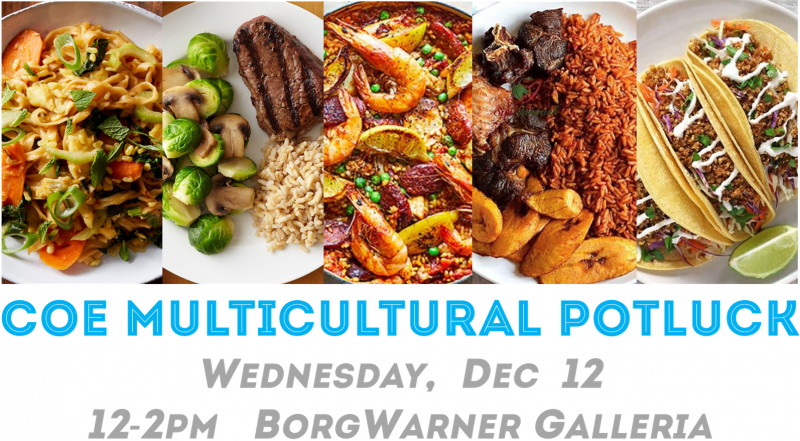 Students are encouraged to prepare and bring in dishes from any culture they want and share those dishes potluck-style by giving out samples. Here, we're taking a flexible view of what culture means. It could mean food from a certain region or nation, or just food that you're excited about and want to share with others. 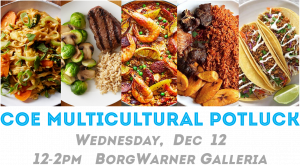 If you are interested in the prospect of bringing or preparing a taste of your culture (or a culture you're fond of!) then please check out the following Google Sheet and consider booking a spot. You bring the food, and we'll take care of the rest! Of course, you don't need to bring food to participate. If you still want to attend but don't want to bring any food, please RSVP at the following link. RSVP will be required to attend so we can plan resources accordingly. If you have any questions, do not hesitate to email us!